Spring will be here again soon. 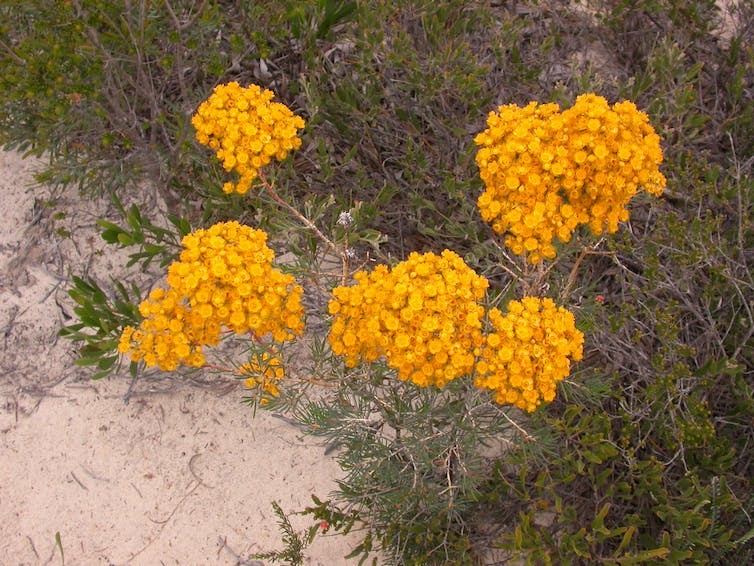 This time of year is peak wildflower season in the area around Perth, and the display is a major tourism draw card. 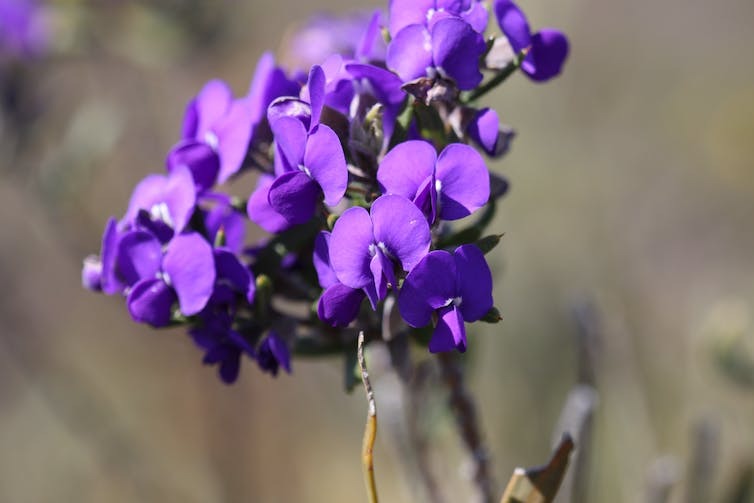 People flock to places like Lesueur National Park and the Eneabba sandplain in search of stunning displays of flowers and vistas that change from yellow to white to pink over the spring months. But our new research, published in the Journal of Ecology, shows that the region’s rapidly drying climate is making it more difficult for these beautiful landscapes to withstand bushfires, and some wildflower species may die out entirely. Fire in these landscapes is a dramatic affair – flames move through the entire canopy, killing virtually all of the above-ground portions of the shrubs and herbs. But within a couple of growing seasons, the vegetation returns and often flowers prolifically. Seasoned veterans and locals know that the quality of the flowers is intimately connected not only to fire but also to rainfall. But it wasn’t clear exactly how rainfall levels influence the speed at which the flowers bounce back. We lit a series of experimental fires, with the help of local fire managers, in shrublands near Eneabba. 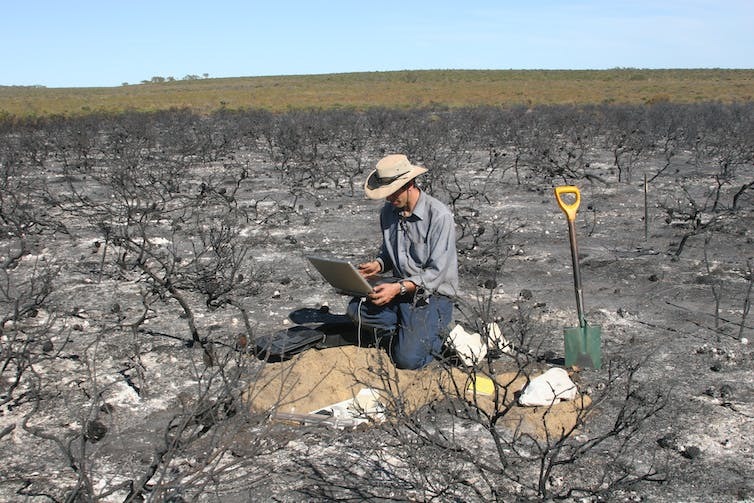 We found a very strong link between fire, climate, and how plants regenerate. Our study spanned four years that received between 66% and 100% of historic rainfall levels, allowing us to assess the effects of dry versus average rainfall years on vegetation recovery. Species that regenerate from seed tend only to germinate after a fire. This is when conditions are best – the soil has more nutrients and there is less competition with other plants. The rub is that it is a roll of the dice for seedlings; if the fire is followed by a dry winter, few new seedlings survive. This seems a fairly obvious result: less winter rain equals fewer surviving seedlings. But the implications are profound. We found that a 20% reduction in rainfall means that plants needed 50% more time between fires to rebound to stable population levels – taking, for example, an average of 15 years to recover instead of just 10. Given that rainfall in the region has already declined by 10-15% and projections are for 20-40% more decline by 2100, we may be seeing fewer and fewer flowers in the future, and some species may disappear altogether. There are implications for animals too. Species such as honey possums, which rely on nectar from flowers, may struggle. Many reptiles prefer habitats with long fire-free periods, which are likely to become even more scarce. 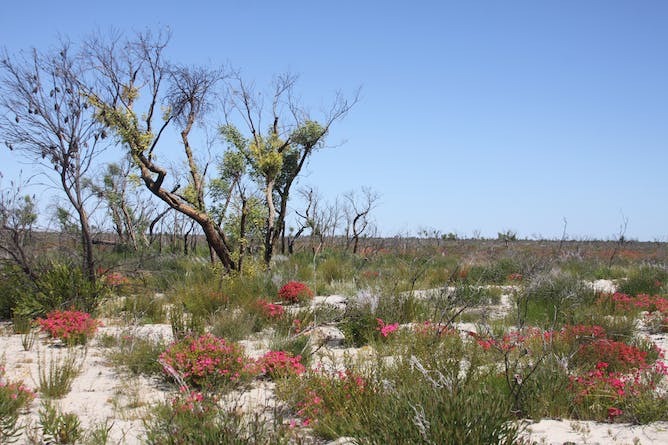 Our work suggests that these shrublands may need less fire, not more, for their conservation. 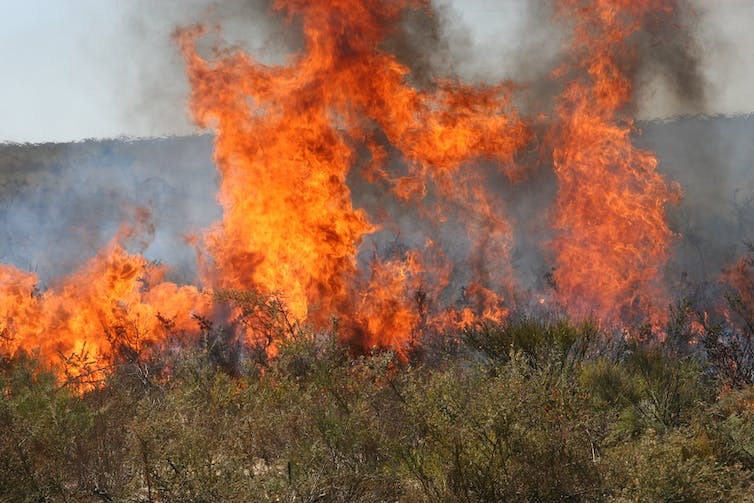 Local managers may need to make their prescribed burning program less frequent or more flexible, perhaps focusing on average to wet years and avoiding dry ones. But we realise that this advice is at odds with the growing need to safeguard against bushfire risk as the region’s climate warms and dries. The wildflowers of WA are one of the state’s crown jewels, and we hope to maintain these stunning displays into the future. It would be a real shame if spectacular wildflower seasons stopped being an annual event.